It may be a luxury to some people; but for others it is the only life-saving option! Air ambulance has been around for ages; only recently rose to prominence and became an important component of the medical tourism industry. As the name suggests, air ambulances are air vehicles used to transport patients over long distances more quickly than ground ambulances. Air ambulances can either be provided by a country’s medical emergency or by a combination of private medical providers, staffed with emergency medical technicians, nurses, doctors, respiratory therapists and paramedics. Depending on the severity of each patient’s condition, the doctor may order the patient to travel by an air ambulance to be safely transported to the nearest medical facility. Organ transplant, heart surgery, and severly obese weight loss patients are some of the conditions that conventional airlines can’t accommodate their specific medical need, making an air ambulance exactly what the doctor ordered! It is practically impossible for a patient who had a heart attack at 3 AM in the morning to spontaneously hop on a standard flight with a complete medical team and the required medical equipments. The typical thought of air ambulance is a swift service used to whisk accident victims away from the crash scene to the nearest hospital. 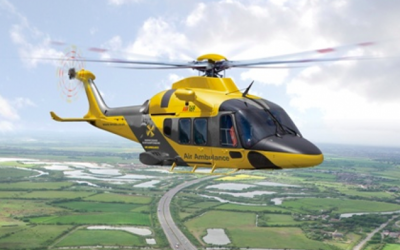 Nowadays, air ambulance’s services extend beyond the accident scene imagery. Many medical tourist hubs offer air ambulance service for overseas patients to provide a safe, competent and comprehensive transfer of patients from any part of the world. Turkey is among the most sought-after medical tourist destinations and a major provider of the best air ambulance services in Europe. Patients seeking liver transplant in Turkey can take advantage of the VIP Star air ambulance service, boasting world-class medical assistance aboard large fleet of aircrafts, equipped with the most advanced emergency transport facilities to deliver safe and speedy service. VIP Star also offers customized medical service for patients suffering orthopedic injuries and in need of full assist transfer from bed, to chair, to aircraft seat, flying them from anywhere in the world to an orthopedic hospital in Turkey. India is a booming market for air ambulances and emergency services, offering extensive medical transport system and high-tech life support equipment to meet the critical care needs of the patient. Vibha Care is one of the most distinguished companies in India providing 24-7 medical service, highly qualified doctors and well-trained paramedics for emergency transfers. With companionate and proficient patient care, Vibha Care air ambulances can transfer patients seeking orthopedic surgery in India from long distance destinations with the assistance of qualified medical team to help transfer patients struggling with immobility due to spinal cord injury or open fracture in a safe and comfortable manner. Air ambulances must meet stringent safety standards to be approved or licensed to fly patients to their medical destination. Common equipments required to be accessible in air ambulances are: ventilators, medication, an ECG and monitoring unit, CPR equipment, and stretchers. The lack of access to specialized medical services in some of the world rural areas is another key reason why air ambulances are a vital service in the medical world. Traveling by air ambulance may not be an exclusive experience you wish to add to your bucket list, but it has evolved to be a medical necessity in critical circumstances. It is the doctor’s discretion to decide if a patient’s medical condition requires a specialized care service. For years to come, the role of air ambulances will continue to be a crucial, life-saving mode of transport for critically-ill patients who require immediate medical attention.